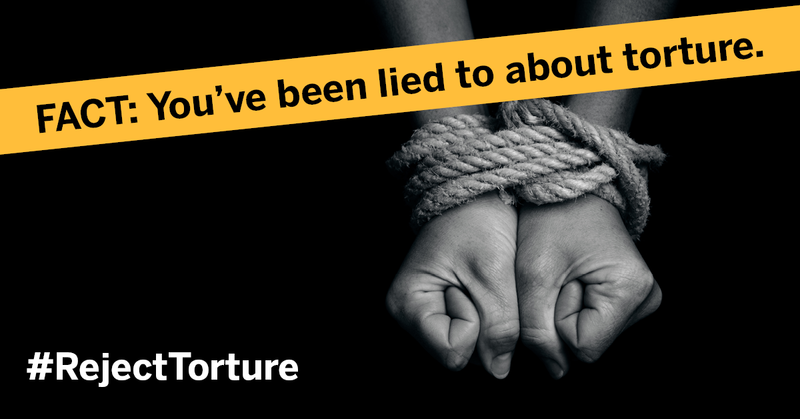 It’s time to cut through the lies and tell the truth about torture. Torture is illegal. Period. There are no exceptions. Ever. The real world of torture is not like in the movies. Torture does not result in actionable intelligence. In reality, torture is more likely to produce false confessions and send investigators on wild goose chases. CVT has helped rebuild the lives of over 30,000 survivors of torture in our 31 years – we hear repeatedly that human beings will say anything, including false statements, to get the torture to stop. These are some of the truths about torture. For more, click here.